•	Turkey Burger Benedict—Turkey burger with a poached egg, smothered in jalapeño hollandaise sauce, sautéed onions and Cheddar on a toasted, buttery brioche. •	Turkey & Egg Breakfast Burger—Turkey burger topped with Cheddar, crispy bacon and an egg cooked sunny side up, nestled in a grilled English muffin. In addition to these recipes, Butterball has a full line of turkey burgers available, including the All-American Grill Turkey Burger, the Mediterranean Turkey Burger, and the All-Natural Turkey Thigh Burger. 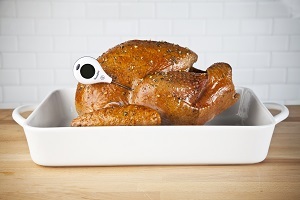 For product information, recipes and menu ideas, visit www.ButterballFoodservice.com. Butterball, headquartered in Garner, N.C., is the largest producer of turkey products in the U.S.—producing more than 1.5 billion pounds of turkey each year. For more than 60 years, the company has provided foodservice and retail products to customers and consumers around the world. 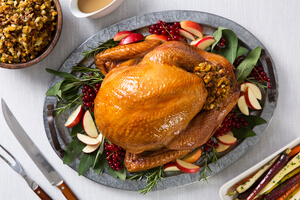 As a division of Butterball, LLC, Butterball Foodservice is committed to ensuring anyone can serve America’s favorite turkey with confidence. Operators trust the Butterball brand to always deliver consistently high-quality products and superior customer service. 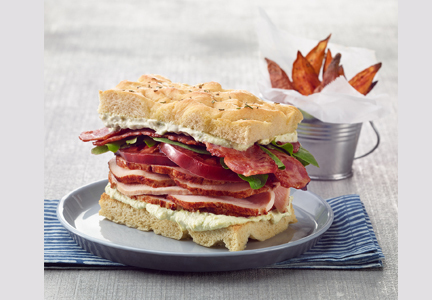 For menu inspiration and information on the wide variety of turkey products available, visit www.ButterballFoodservice.com. 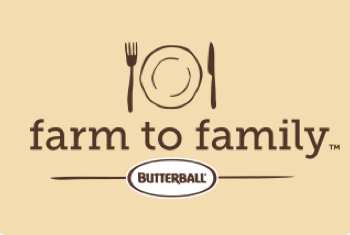 Find us on Facebook at www.facebook.com/ButterballFoodservice and follow us on Twitter at https://twitter.com/Butterballfs.